Whether you're trying to cut out alcohol from your diet for health reasons or are sober and just don't drink, period, grabbing a drink with friends after work can be tough when everyone else is cheers-ing a full glass of booze right in front of your face. That's why we've pulled together a list of low or no-proof concoctions so that you can still partake in the after-work and weekend festivities. Don't worry, we've also pulled some regularly proofed cocktails too for when you might want that drink after a particularly stressful day in the office. Low-proof drinks aren't anything new to the Bay Area. 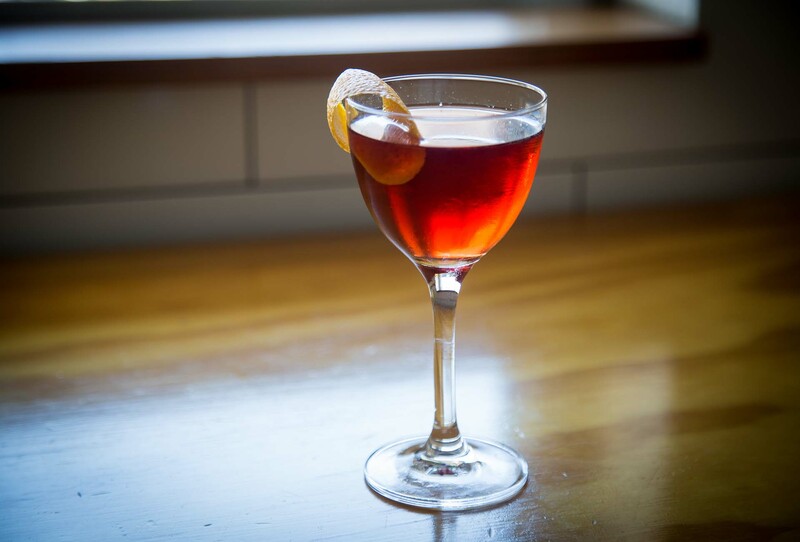 They showed up years ago, particularly on restaurant drink and bar menus to satisfy diners' desires to indulge in a drink without having to worry about the impending buzz, feeling of fullness, and the possible distortion of their palettes during a meal. 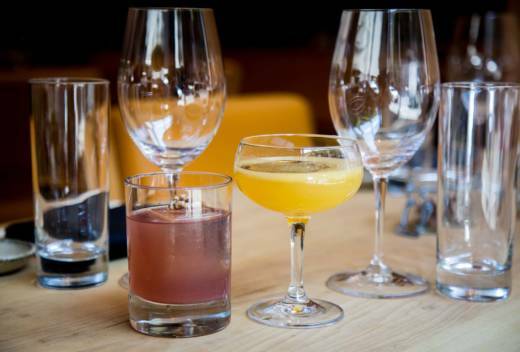 Presently, establishments continue to take advantage of fortified wines and unfortified drinks as well as newly developed non-alcoholic distilled spirits to lower a drink's proof without sacrificing on flavor. Knowing that, we say drink up, and clink your glasses to more cocktails with all the flavor and none of the hangover. 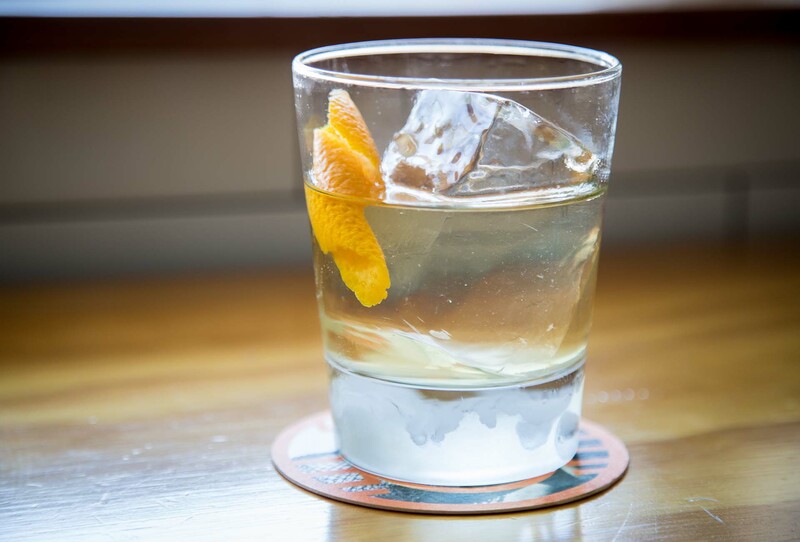 True Laurel’s bar manager, Nicolas Torres takes advantage of Seedlip, a distilled non-alcoholic spirit, to make the Spice and Everything Nice. Based in the United Kingdom, Seedlip is starting to make its presence known in the United States via burgeoning markets in Los Angeles, New York, and, of course, San Francisco. 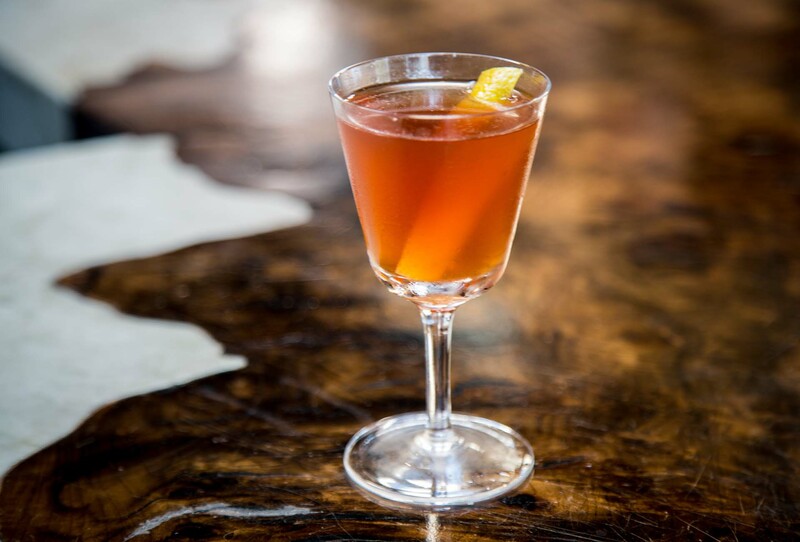 The True Laurel libation uses Seedlip Spice, a variation of the non-alcoholic spirit that has flavor profiles of allspice, cardamom, and citrus. With the Seedlip, Torres mixes pink peppercorn, chamomile, pear vinegar, and aromatic bitters, making for a very herb and spice-forward drinking. It feels like you’re almost sipping on a spiced tea. Seedlip is also calorie- and sugar-free, so you'll be hard-pressed to find reasons to not order more than just one of the Spice and Everything Nice. 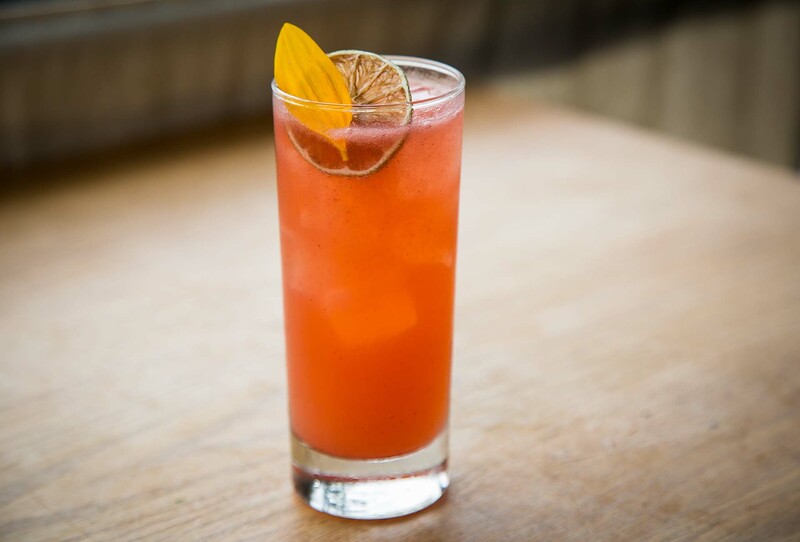 While True Laurel offers just one Seedlip cocktail, other bars in the Bay, including Zuni Cafe and Blind Tiger and Plum Bar in Oakland, also serve Seedlip-cocktails. 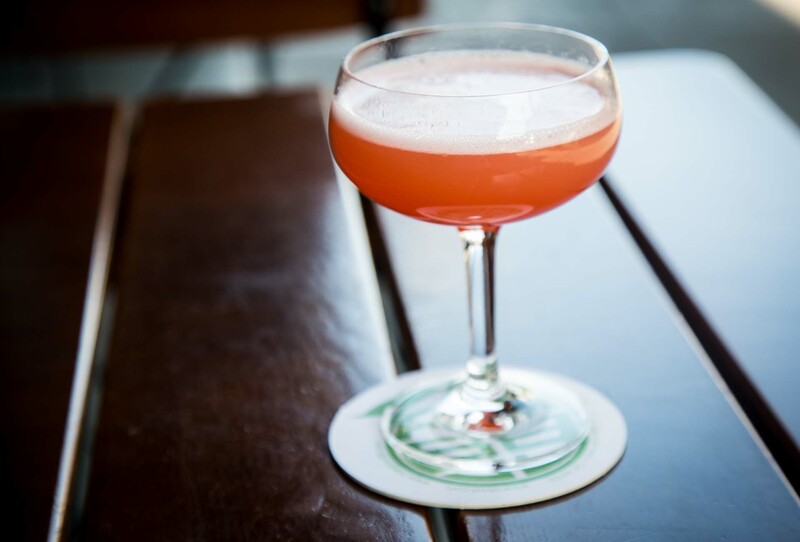 For those occasions that call for a little added alcoholic-spirit, go for the West Coast Bounty, made with grapefruit wine, pear brandy, raspberry, and gin. San Francisco Mission favorite ABV has got your bases covered with the 0% ABV section of its menu. With four options to sate your no-proof drink cravings, the Tarragon is highly recommended (and is highly Instagrammable thanks to its picture-worthy green hue). The Tarragon is a simple drink with just three ingredients: tarragon syrup, lemon, and soda. Although simple, it’s still a really flavorful and balanced drink and is perfect for some of these unseasonably (and weirdly) hot days we've been having this year. And since its booze-free, maybe you can indulge in some of ABV's food menu--maybe a burger and octopus to go along with that Tarragon? If you’re interested in ABV’s normal cocktail menu, we say try their Pink Flamingo cocktail. It's equally tasty and just as Instagrammable. 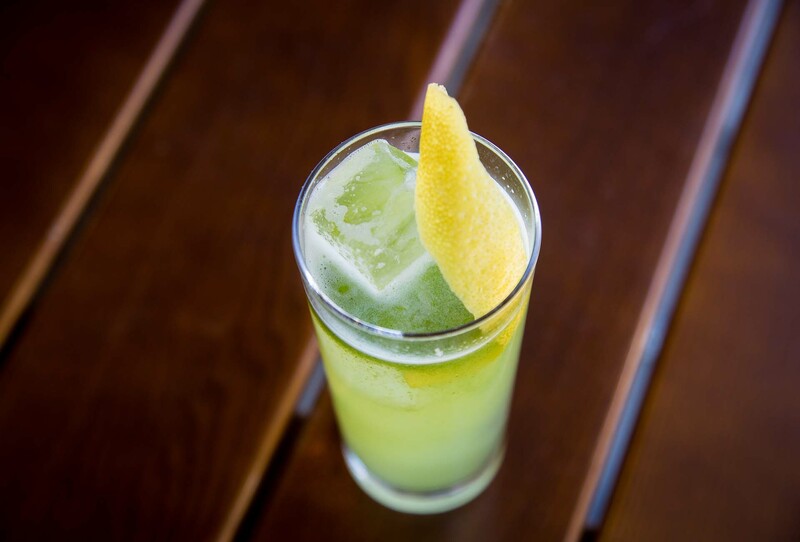 It's a fruit-forward mix of Rhum Agricole, lime, pineapple, Tiki-Tivo (a house blend of aperitivos), and absinthe. Named Best New Restaurant in 2015 by Bon Appetit Magazine, AL’s Place continues to be a super popular destination for locals and tourists alike. Part of that draw, if it isn’t already, is the restaurant’s creative take on its drink menu. Helmed by bar director, Kyle Greffin, the AL's Place cocktails are heavily influenced by the food menu and what ingredients are being used in the kitchen-- in some instances, what's going to be thrown out. Take "The PJ" for instance. 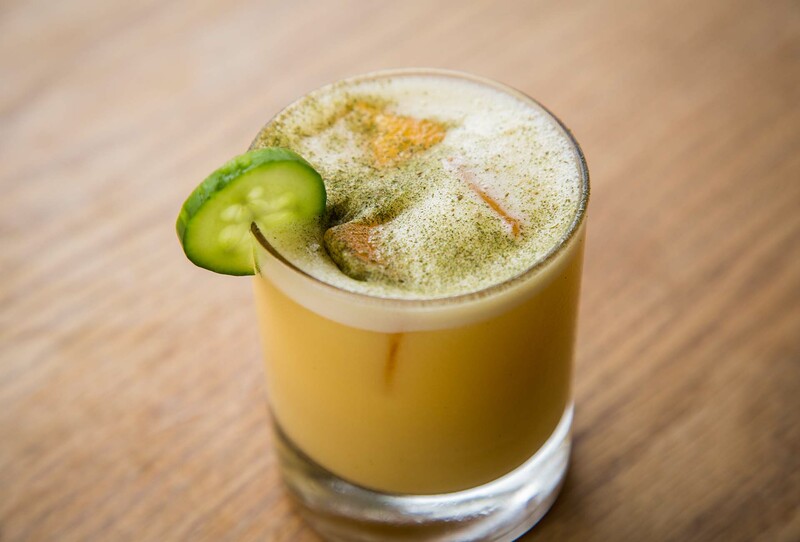 Named for Peter Jacobsen, one of the restaurant's farmers, the PJ uses a sochu (a Japanese distilled beverage usually derived from ingredients like rice or barley) that is infused with sugar and unripe peaches that had naturally fallen--all given to the restaurant by Peter. Greffin says that the PJ is an example of the restaurant's attitude towards not wasting "otherwise undesirable" produce. The PJ is just one in a pretty extensive list of all low-proof cocktails. Highly recommended as well are the Japanese Julep that uses hojicha tea and a mix of herbs to mimic the flavor of bourbon; and the Rose (named for another of the restaurant's farmers) that uses Amaro and Cocchi Americano. If these cocktails don't do it for you, don't worry, AL's Place also has a good selection of wine and beer. 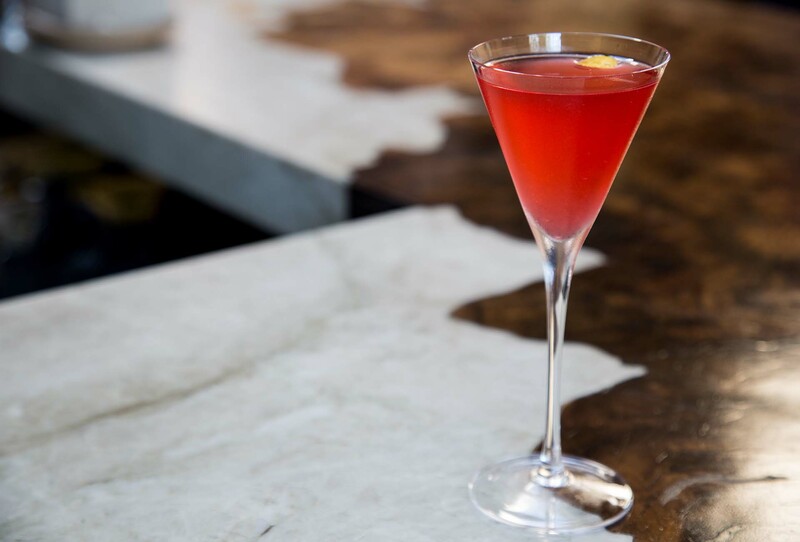 The Abella from Rich Table is a light and refreshing fruit-forward cocktail that achieves its low-proof status by using Lillet Blanc (a wine-based aperitif). Fresh strawberry halves are blended with a little bit of sugar and water to make a puree that the rest of the drink is built upon. Layered with the strawberry is Lillet Blanc and a sparkling yuzu soda called Kimino, which is sourced straight from Japan. The result is an easily sippable cocktail, either on its own or as something light to carry you through your meal. For those looking for an equally unique but stiffer drink, the Husker is a great choice. 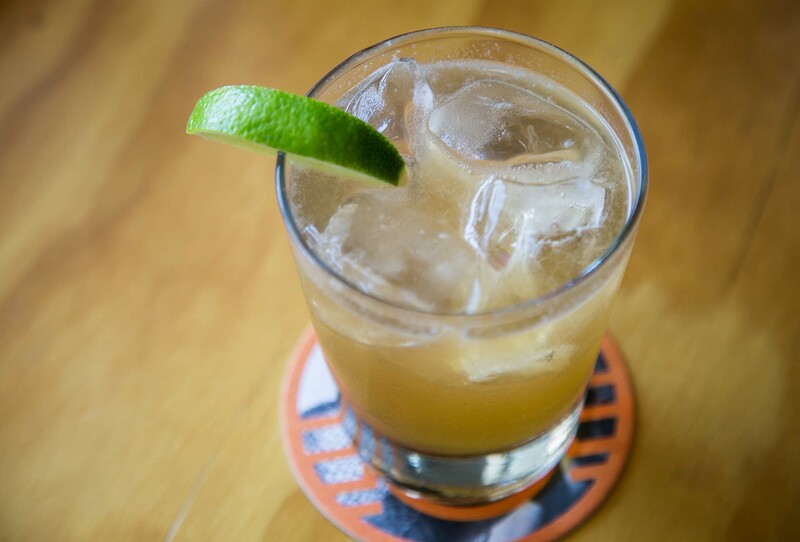 Appropriately named for its use of corn, the Husker takes a strained corn, lemon verbena stalks, and cayenne pepper blend and pairs it with tequila, corn syrup, and lemon. It’s then finished off over some ice. With a very robust cocktail program, it shouldn’t be much of a surprise that Roka Akor has a solid showing of lower proofed cocktails. The Nanazake is a great example. The drink can be explained as a low-proof banana bread in a glass. 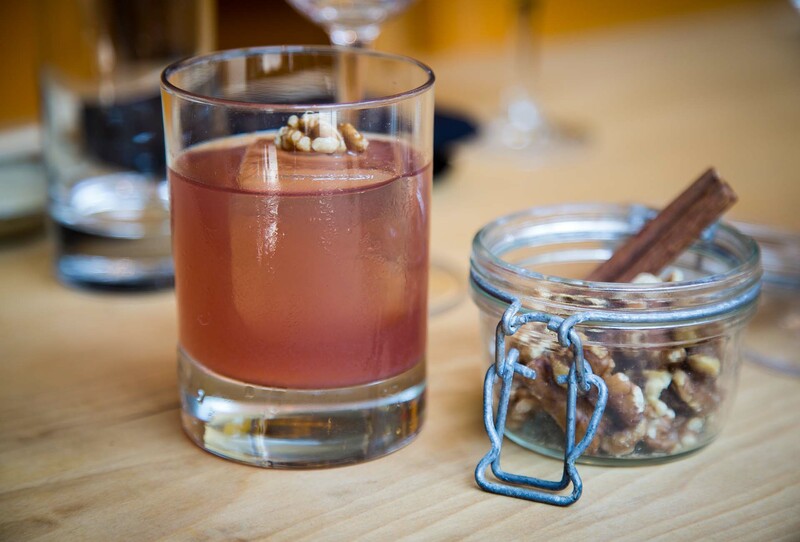 The main component of the Nanazake is a banana and cinnamon-infused sake that is mixed with Blanc Vermouth and walnut aroma and garnished with a pecan. The Nanazake cocktail is an enjoyable experience for both your nose and your taste buds. The Sword and Samurai is good for more adventurous drinkers. 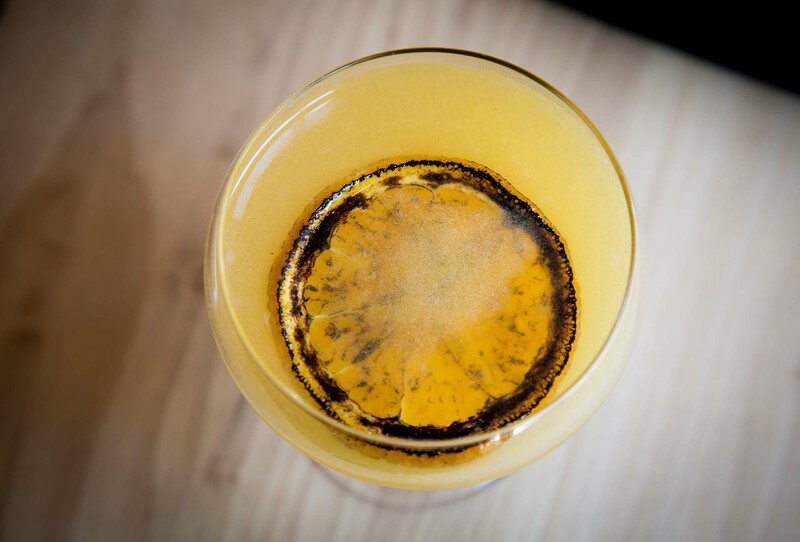 The drink uses Suntory Whisky with an interesting mix of green tea, lemongrass-honey syrup, fresh yuzu, fresh lemon, and is topped with a charred orange slice. With a mix of whiskey, fresh herbs, and citrus, the drink is smoky yet herbaceous.